Hello and Happy Monday! Hope you all had a wonderful weekend. Sweater weather is definitely here in these parts, and I'm obsessed with cardigans. OBSESSED. I've had some for YEARS and I think their time has come and gone... so I guess that means it's time to go shopping! I've been scouring the internet for the cutest and coziest cardigans around, and these were just a handful of my faves! ohh love these! esp #4 and 7! and i totally feel the same, i used to live in them, but don't really love the ones i have anymore, i need to go shopping! These are some great ones for Fall...layers are the best! there's really nothing i love more than a great cardi. i always go crazy over j.crews. #5 & #8 are seriously calling out to me! I am totally in love with that first one. Yay for cardigans!!! I can't wait for it to be cool enough to wear one! I love sweaters! You could never have too many. My favourite is #6. So on the same page with sweaters! I think sweater weather might just be my favourite kind :) And I love that leopard print one!! I have become a cardi-aholic this season! I swear I pick up a new one every single time I go out shopping! fabulous picks! 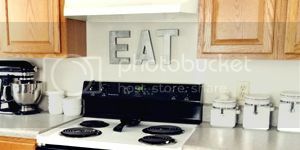 i have been DYING over that last one on piperlime! i want it soooo bad! I am totally obsessed with them, too!! I have bought so many this year already and I am just going to keep on buying!!! Sooo excited to wear cardigans...hopefully soon! It has been so hot here still! Love them, especially the ivory one (#5), looks so comfy! I'm obsessed with them too! They were really hard to find when I was a teenager. 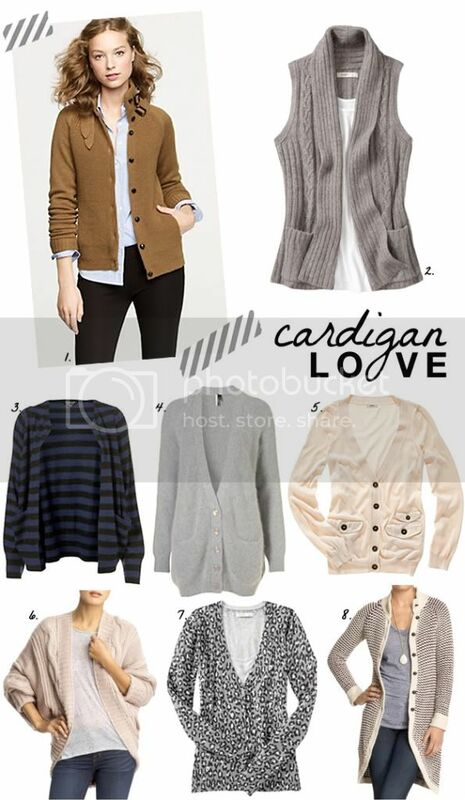 Oooooooh I love cardigans and need ones, too! This post is great. And #8 is amazing!! i love all of these! now is the time i wished in cooler weather so i could actually wear them! LOVE these! #2 & #5 are my favs! I think cardigan is my favorite piece among things in the closet, because it has the power of changing the mood of your outfit! I have a version of #4 and #6. And I oh, totally am in love with #2!!!! #1 is seriously calling my name!! !